Easter slows sheep slaughter but it’s still strong. Home > Sheep > Easter slows sheep slaughter but it’s still strong. 10 Apr Easter slows sheep slaughter but it’s still strong. Last week was a day short of a full one, thanks to Good Friday. The short week saw a predictable drop in both sheep and lamb slaughter, but supplies remained much stronger than Easter last year. Prices are starting to fall behind last year levels, so this week we thought it timely to take a look at what price and supply tells us about demand. Figure 1 shows Good Friday dragged weekly east coast slaughter back to its lowest level for the year to date. Easter 2017 is clearly shown, with the added week of Anzac day seeing three weeks of low slaughter. Last week lamb slaughter was 2.5% higher than Good Friday week last year. Sheep slaughter was much stronger. This year Good Friday week sheep slaughter was an extraordinary 26% stronger than last year. 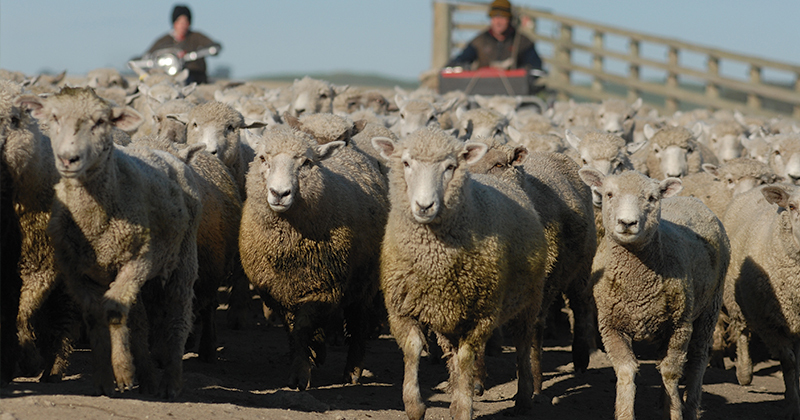 Combined sheep and lamb slaughter was 7% higher than last year. The last week took total year to date sheep and lamb slaughter to 4.6% higher than last year. The extra 250,000 sheep and lambs slaughtered for the year so far equates to around 3 days of sheep supplies. It’s interesting that this is the case, even despite 50,000 head of weekly kill space being taken out by the January fire at Thomas Foods. NSW and Victorian processors have more than picked up the slack, seemingly driven by good demand and margins. Figure 3 shows it was this time last year that the Eastern States Trade Lamb Indicator (ESTLI) really took off. Not surprisingly, the rally towards 700¢ coincided with a solid autumn break across the Eastern States, which no doubt tightened supply. We’ve identified that demand for lamb and sheep has been stronger than last year for much of the 2017/18 season to date. This is evidenced by prices being similar or stronger, despite supply being stronger. Last year’s strong prices from this point may have been driven by stronger demand, as lamb supply remained relatively steady. Restockers would have contributed to increased demand, but this time last year might have been the start of the current strong demand period. While strong lamb and sheep supply does mean weaker prices now, at least weaker than the peaks and this time last year, it does bode well for those looking to sell lambs and sheep over the coming months. May is usually one of the stronger slaughter months for the year, but with strong numbers coming through to date, it might be the month for the winter price rally. Lamb and sheep slaughter was lower for Easter, but still well above last year. Prices are falling behind last year’s levels, but demand remains similar. Continued strong supplies of lamb and sheep should see tighter supply, and stronger prices over the coming months.